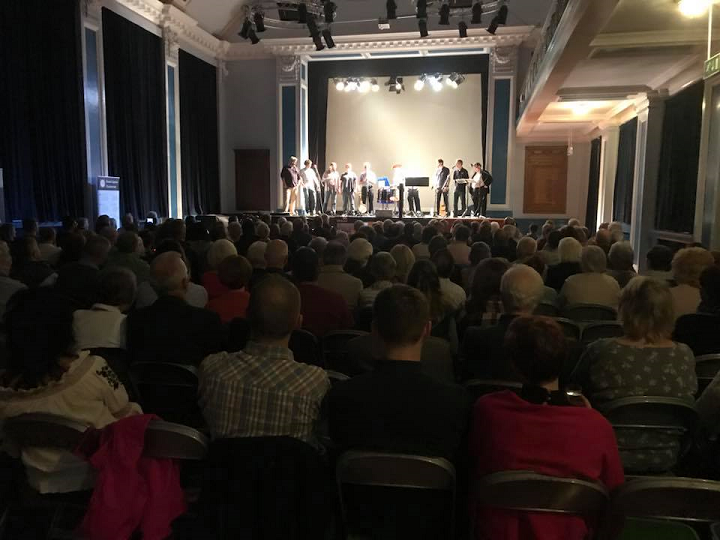 The concert held in the school hall at "AKS Lytham" was excellent with the full 250 audience entertained for over 2 hours by the Shanty Crew's mixture of traditional and modern shanties. Although the full amount has to be finalised, they have raised over £1,500 towards the Lytham St Annes Shannon Lifeboat Appeal on this night alone. The concert was attended by the Mayor and Mayoress of Fylde Council, Coun John Singleton JP and Mrs Singleton, and people from a wide area. Singing along with some of the numbers was encouraged and all had a great time going by the comments made as the audience left. “AKS Lytham” generously allowed the use of their hall for the night and Ansdell Institute assisted providing refreshments for the interval. 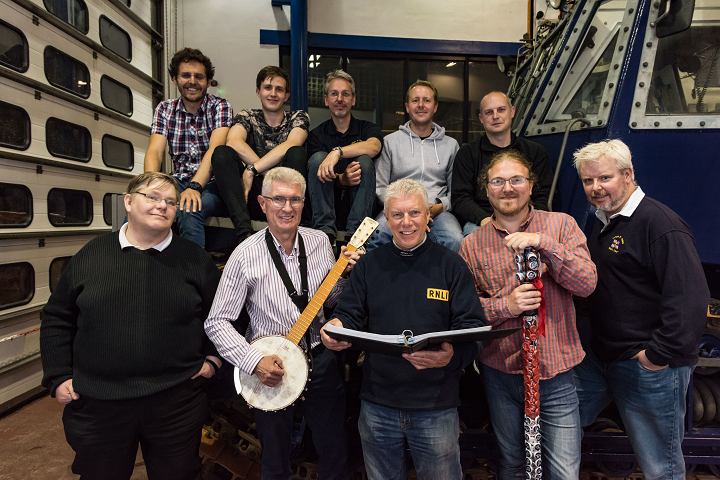 The Lytham St Annes Shanty Crew were formed to help raise money for the Shannon Appeal. So far the ten members have raised over £5,000 with more to come as all the profits from their first CD "Northern Shoal" (out now) are to go to the Appeal. Even when they have been rehearsing they have put a collecting bucket out and raised £100s in donations from passers by stopping to listen. When they appeared at the Annual Lytham Festival in 2016, they were the first act to sell out, so a second night was added. This sold out in days too. This year they appeared in the inaugural Lytham Festival Fringe, and the annual Lytham St Annes Lifeboat Family Fun Day held each year at the ALB House on South Promenade. They have also played at the annual Blackpool Lifeboat Day and also Fleetwood Lifeboat Open Day held at the stations’ respective boathouses. Last week was a particularly busy time for the Shannon Appeal for as well as the Shanty Crew, there was also the Marton Operatic Society's tremendous and talented performance of Gilbert & Sullivan’s "The Sorcerer" being held at Lowther Pavilion to raise donations and the Mayor of Fylde Council's Charity night, the Shannon Appeal being one of his charities during his year of office. Forthcoming events include a "Lifeboat Morning" by Lytham Lifeboat Guild at Lytham Assembly Rooms on Saturday 28th October 2017 and a Coffee Morning by St Annes Ladies' Lifeboat Guild at the Chadwick Hotel St Annes on Saturday 4th November 2017. Both are morning events starting at 10.15. The Lytham St Annes Shannon Appeal for £275,000 is on target so far for the new boat BARBARA ANNE's arrival due at the end of February 2018. So far £200,000 has been raised but the momentum hopefully will continue to reach the full amount. It will be sad to see the HER MAJESTY THE QUEEN leave the Station but all are looking forward to the arrival of the Shannon.